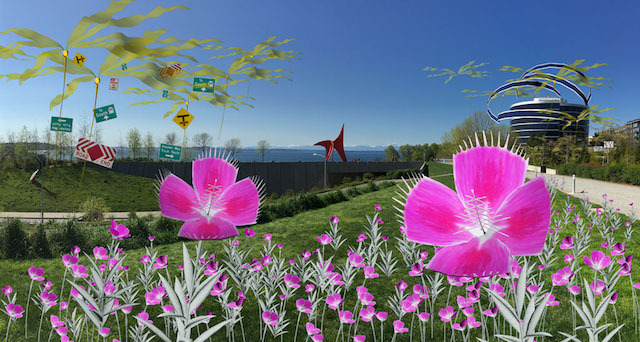 Explore a pre-apocalyptic VR garden at "Gardens of the Anthropocene" - Archpaper.com Explore a pre-apocalyptic VR garden at "Gardens of the Anthropocene"
While most people blunder around city streets tethered to their phones, one artist is offering an augmented reality (AR) experience that explores the effects of climate change on native flora. 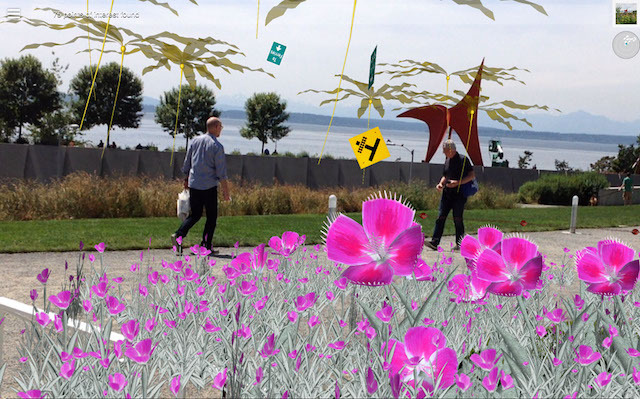 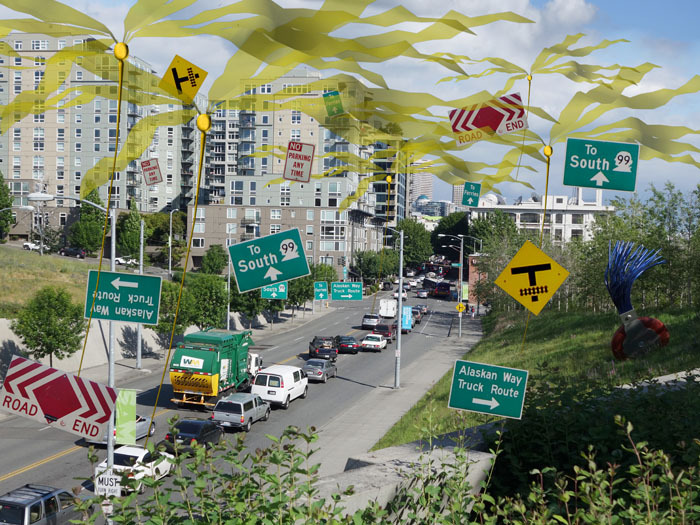 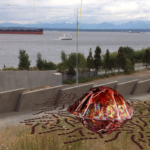 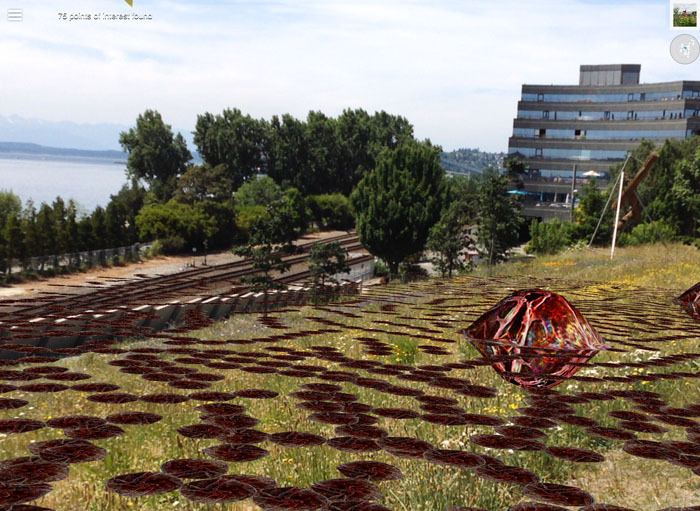 Tamiko Thiel‘s new installation at the Seattle Art Museum Olympic Sculpture Park, Gardens of the Anthropocene, transforms the park into an AR landscape that depicts Seattle under the influence of climate change. 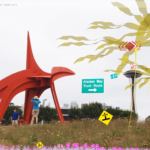 In the coming years, Seattle is expected to have a dry climate similar to Eastern Washington or Northern California. 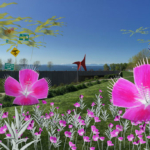 The Creators Project reports Thiel consulted with scientists at the University of Washington Center for Creative Conservation to learn how the park’s plants could adapt to rising temperatures, drought, and extreme weather events. 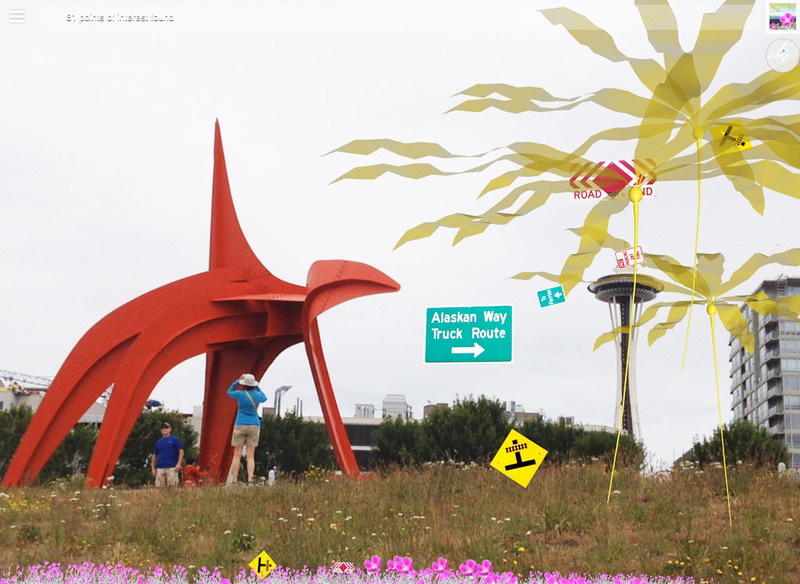 When flesh-and-blood visitors stroll through the park, they walk through a fantasy garden of engorged Alexandrium catenella (called Alexandrium giganteus) and massive, mutant bullwhip kelp sits over Elliot Street, the main thoroughfare adjacent to the park. 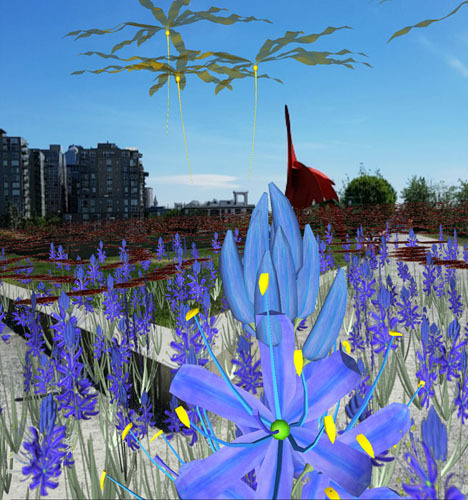 Other plants gobble food of the anthropocene—electromagnetic radiation from smartphones, nutrients in buildings—or blossom in the liminal space between land and sea. 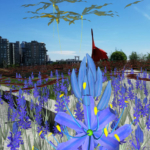 Theil used 3ds Max and Blender to craft the plants, combining images of leaf textures to enhance her creations. 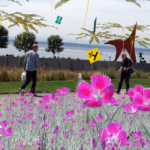 Theil then used Layar platform to implement Gardens of the Anthropocene IRL—the Seattle Art Museum set up booths at the park’s entrances with instructions on how to see the piece. 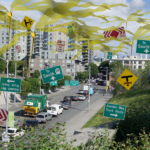 The extraordinary imagery belies a foreboding conclusion, born out by Theil’s conversation with the Center: The earth is warming at an ever-increasing pace, and disturbing weather changes are years, not decades, away. 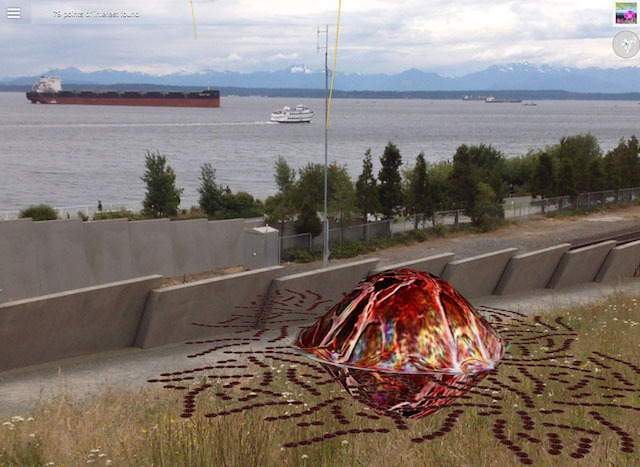 To steel yourself for the impending human-engendered apocalypse, check out the project page on Theil’s website for more images of landscape in the Anthropocene. 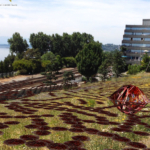 The exhibit runs through September 30, 2016.